The CoffeeShop Blog: CoffeeShop Neptune Lightroom Preset! Sometimes I get a bit I wanted to post a new preset today that I called Neptune. 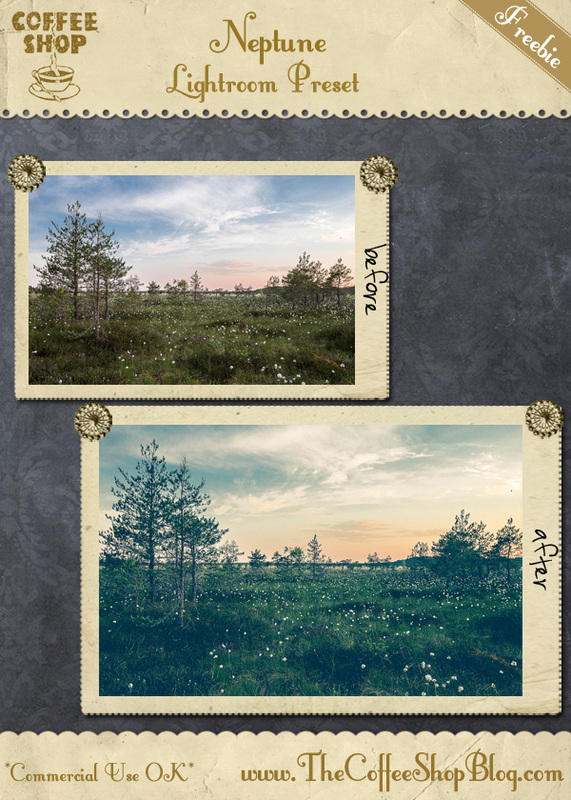 It is a cool (as in color) matte tint for landscape and still life images. I love using it on landscapes as it can make them look quite magical. I want to post some more Lightroom tutorials here, so if you have any specific ideas of what you would like for me to post, please comment below! I also have more presets coming out in the next week or two. Download the free CoffeeShop Neptune LR preset. You can also download it here. I feel like there is potential in the print module of lightroom to avoid having to open photoshop to create a collage. Have you discovered any tricks for that? That is so cool Caroline!!! Lovely photo, I found it on Pixabay.